It’s not easy being a police officer these days. You’re under criticism for how you do your job and many people in the community see you as being at war with them. But most police officers are just people who want to serve their communities and return home at night to their families. 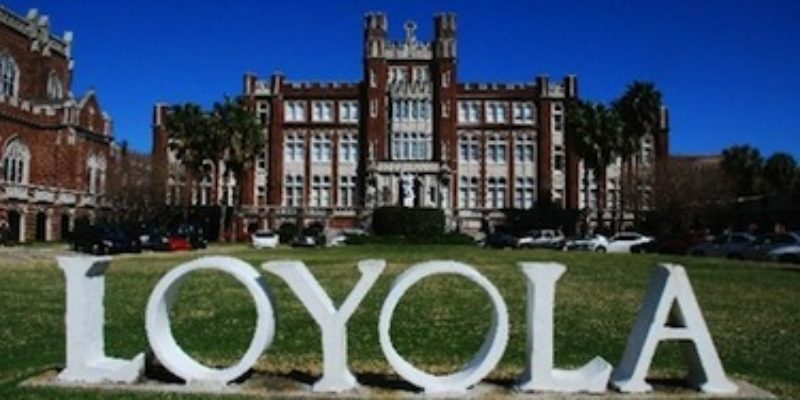 Jefferson Parish Sheriff’s Office Sergeant Josh Collins is attending college at Loyola University New Orleans. He normally goes to class in civilian clothes. However, he did not have time to change out of his uniform and he still had his sidearm. When he showed up in class in his uniform and sidearm, the snowflakes at Loyola got scared. One student complained to the professor about the armed police officer. The professor then called the police. That’s right, they called the police, who presumably wear uniforms and carry sidearms, because they were afraid of an armed police officer wearing his uniform and carrying his sidearm. The police officer who answered the phone told the professor that Collins was well within his rights to both wear his uniform and his sidearm. The police never came to the classroom. Here’s a hint for Loyola’s snowflakes, if you’re triggered over the sight of an armed policeman, maybe you shouldn’t support a larger role for government. Who do you think enforces all the taxes and regulations you want to impose? According to search on Loyola University’s website, the only professor that is listed as teaching the “Law and Morality” class is Assistant Professor of Philosophy Jonathan Peterson. According to his bio, his current research is on “political authority, social justice, criminal law, and punishment.” Before this, Peterson lectured at the University of Toronto at Mississauga. At the end of the day, Loyola University is little more than a daycare for young “adults.” $52,000 a year is a bit much to spend for daycare, even if you’re living on campus. But if you want your children to have a quality education, there are much better and cheaper options than Loyola.